Helps reduce stress and anxiety. ¤ Magnolia extract is a relatively inexpensive phytonutrient which has been used safely for two thousand years in traditional Chinese medicine. Recent studies confirm its efficacy in a remarkably wide range of disorders. We have chosen a product which is standardized to contain 90% honokiol and magnoliol in order to guarantee a high content of active principles. 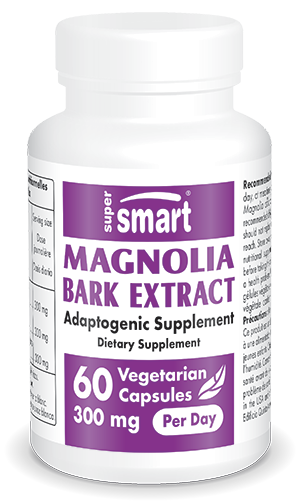 Each vegetarian capsule contains 150 mg extract of Magnolia officinalis.